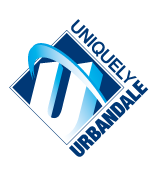 It is the policy of the Urbandale Community School District to foster an equal education environment for all students, employees and community members within the district. The purpose of this policy is to provide guidance to the district on the proper use of assistance animals while on district property. The district shall allow the use of qualified service animals and assistive animals to accompany individuals with disabilities in all areas of district buildings where the public is normally allowed to go. This can include classrooms, cafeteria and school buses. Individuals with disabilities are people who have a physical or mental impairment that substantially limits one or more major life activities. Service animals are dogs and in some instances miniature horses trained to do work or perform tasks for individuals with disabilities. Assistive animals are simians or any other animal specially trained or in the process of being trained to assist a person with a disability. Service animals and assistive animals must be current on all required vaccinations. Service animals and assistive animals also must be under control while on district grounds. The animal may be under control by either the individual with a disability, or a handler of the service or assistive animal. Under control means harnessed, leashed or tethered, unless these devices interfere with the animal’s work, in which case under voice or other directive control. Miniature horses shall be allowed as service animals within the district whenever it is reasonable to allow them. Factors to consider when determining reasonableness include: whether the miniature horse is house broken; whether the miniature horse is under the owner’s control; whether the facility can accommodate the miniature horse’s type, size and weight; and whether the miniature horse’s presence will not compromise legitimate safety requirements necessary for safe operation of the facility. Assuming the handler and animal are otherwise allowed, individuals who train service and/or assistive animals will also be allowed access with their service animal in training to public areas of district buildings and property. The service or assistive animal in training is expected to abide by the same requirements as a service or assistive animal. In certain limited circumstances, it may be reasonable to exclude the use of a service or assistive animal from district property. The Superintendent is permitted to exclude service and assistive animals from district buildings and property in the following circumstances: The presence of the animal poses a direct threat to the health and safety of others; the owner or handler is unable to control the animal; the animal is not house broken; the presence of the animal significantly disrupts or interferes with the educational process; or the presence of the animal would require a fundamental alteration to the program. If a service animal is properly excluded from district property, the district shall provide the student served by the animal the opportunity to participate in the program, service or activity without having the service animal on district property. LIABILITY. The student (and parent/guardian) or staff member with a disability is liable for any damage to the District’s property, personal property, and any injuries to individuals caused by their service animal to the same extent that a non-disabled individual who caused such damage would be held liable by the District. The student (and parent/guardian) or staff member with a disability who uses a service animal on school district property will indemnify and hold harmless the District and its officers, employees, agents, and assigns from any such damages. NOTE: The use of service and assistive animals is a civil right established by federal and state laws. However, the use of emotional support and therapy animals does not necessarily have the same legal protections.